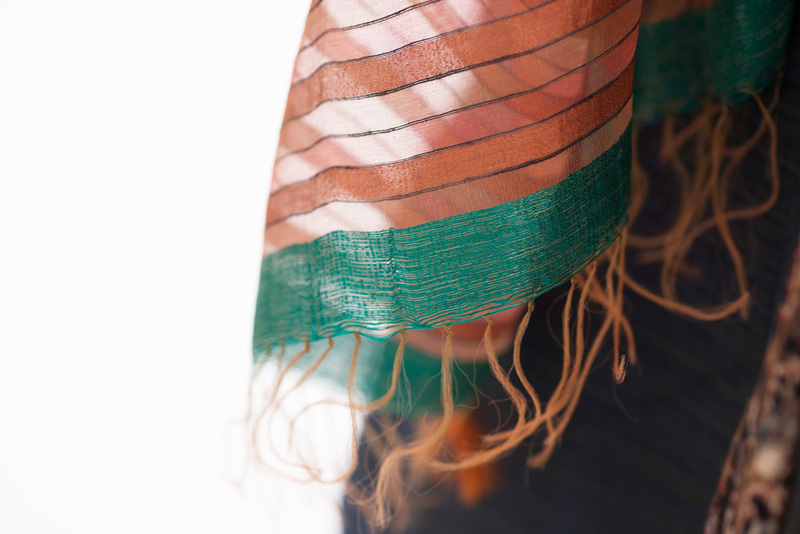 haath scaves and shawls offer an infinite number of choices in cotton, silk or wool. Colors that reflect every color of the rainbow. Brilliant dazzling colors, textures and prints. Or muted, understated, subtle design choices. Some boast bright colors in intricate designs, tie-dyed prints, Kalamkari prints, Ikat weaves, Kantha embroidery, jacquard weaves and much more. 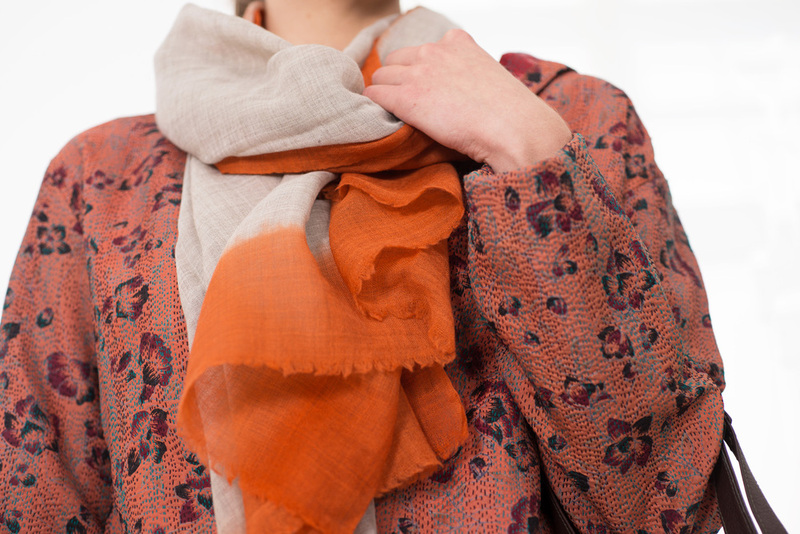 Scarves can create a distinct new look for an old suit or dress. They can create pattern, texture and dimension to every type of garment—whether a dress, jacket, blouse, shirt, sweater or coat. 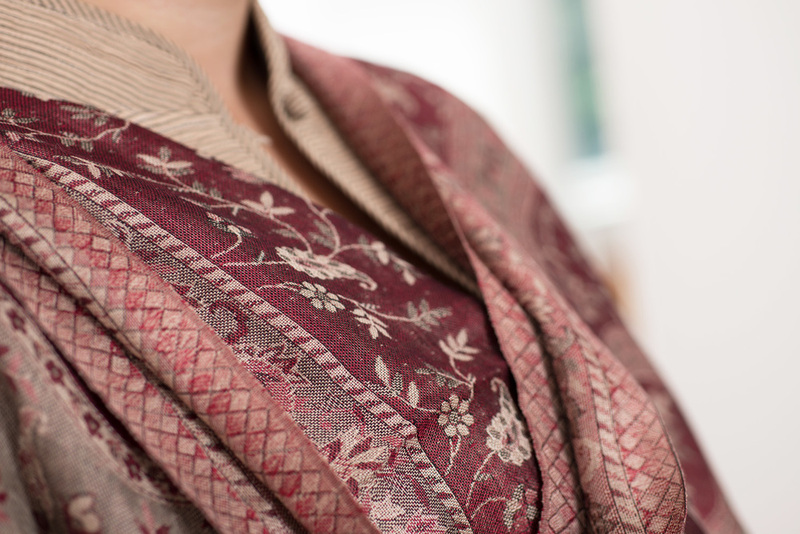 Shawls add additional warmth and interest through texture and design. 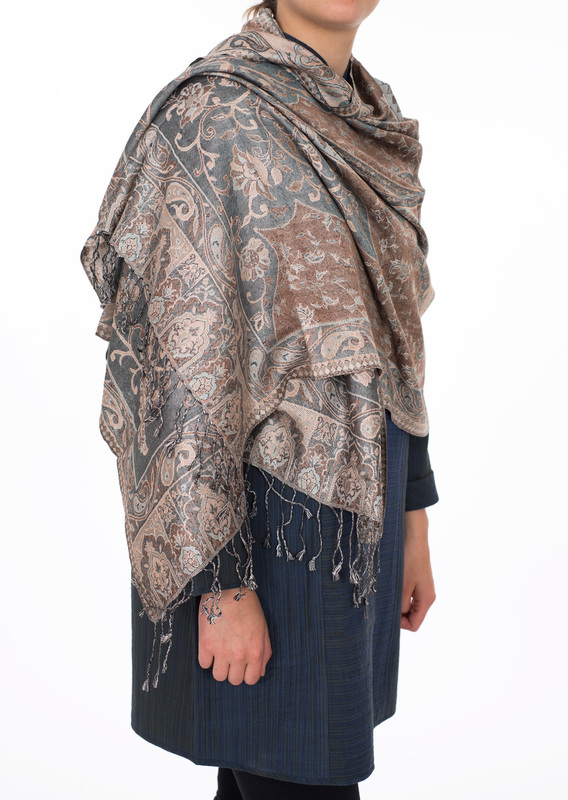 Take one haath jacket and create a dozen different looks with the addition of a few haath scarves. 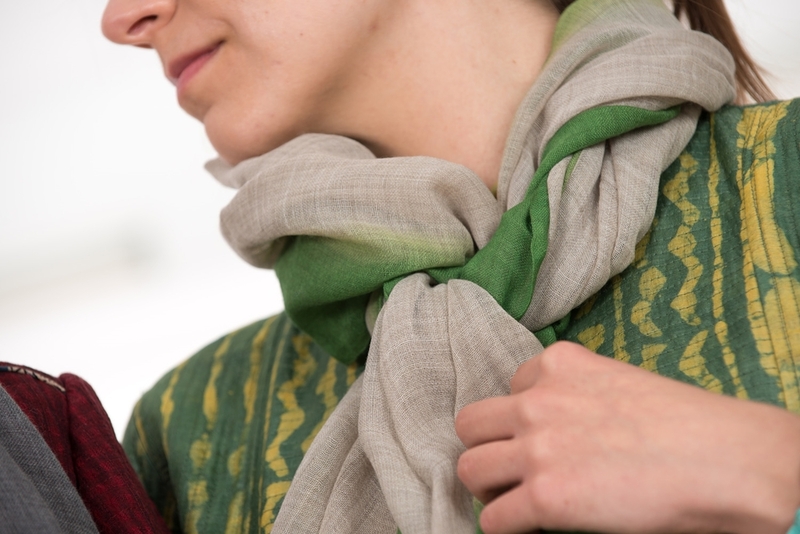 Or, select a few different haath scarves and create versatility and design options to that old suit hanging in your closet. Haath. An infinite number of design choices when creating your own personal fashion statement. Prices range from $25-$200.